With every change in seasons, my skin gets a bit finicky — dry patches, itchy spots, the works. Exfoliation becomes a bigger priority, and not just for my face: We’re talking total body scrubbing. I like to keep it as efficient as possible by incorporating a gently exfoliating soap into my routine. 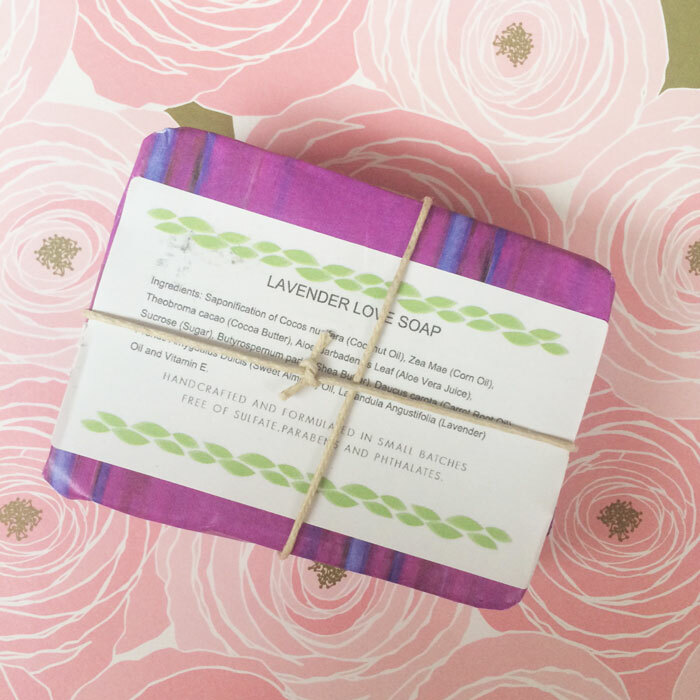 Enter Jacq’s Organics Lavender Love Soap Bar. Made with a stunningly beautiful combination of French lavender essential oil, aloe and colloidal oatmeal in a base of creamy coconut oil, cocoa butter and shea butter, Jacq’s Organics Lavender Love Soap Bar is the ultimate transition weather soap. Its gentle, milled oatmeal provide the perfect scrub, exfoliating the skin and giving it a bit of a massage with every use. Coconut oil, cocoa butter and shea butter pack moisture like whoa and create the best creamy bubbles — such a soothing sight to see! In addition to the soothing sights, the soothing scent of fresh lavender calms the senses and skin. I never used to be a big lavender fan, but as I’ve gotten deeper into the green beauty community and discovered better brands using better quality lavender, my scent perception has changed. I’m a believer in the power of lavender! Oatmeal offers exfoliation as well as a soothing effect to reactive and inflamed skin. Aloe Vera juice moisturizes, calms and heals angry skin while boosting suppleness. Lavender oil promotes relaxation while fighting bacteria and microbes. Cocoa butter encourages collagen growth and plumps the skin, improving elasticity and softness. Shea butter soothes, softens and improves elasticity all without clogging pores. 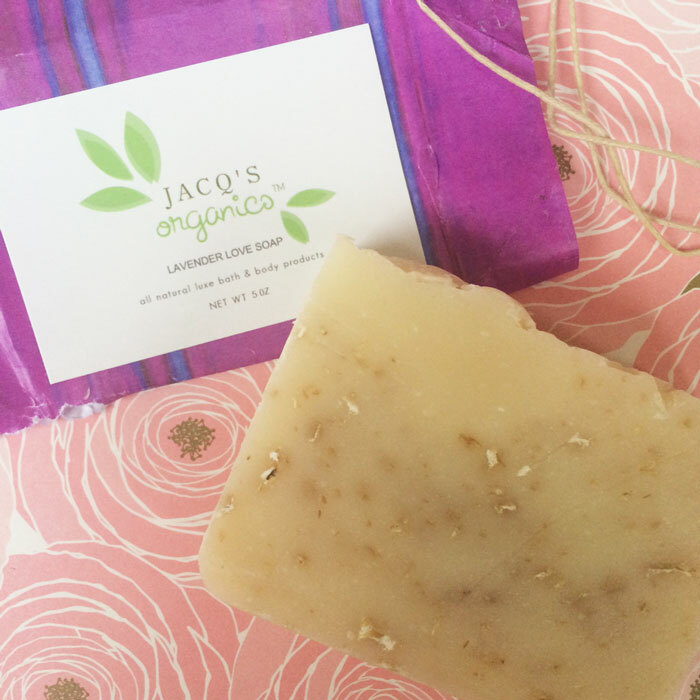 Jacq’s Organics Lavender Love Soap Bar is a winner in my book! I love the energizing feeling of the scrubby colloidal oatmeal combined with the relaxing scent of lavender — it’s the perfect soap to ease into your Monday. Have you tried any soaps from Jacq’s Organics? How do you help your skin transition from season to season? Tell me in the comments section!